The 2018 Land Rover Discovery prides itself on its intelligent interior. In addition to high-tech features, the seating itself is referred to as “Intelligent Seating” for an even more comfortable experience. With your Discovery, you can choose to include Intelligent Seat Fold to customize your second- and third-row seat configurations remotely from your smartphone. Entertainment features are decorated throughout the cabin as well, all the way from the windshield to the third row. The Discovery also comes with technology features like a Head-Up display, connected navigation, rear seat entertainment, and top-of-the-line infotainment. While the 2018 Land Rover Discovery offers three trim levels, there are two engines to choose from: a gasoline engine and a diesel engine. Both engines offer the Discovery a top speed of 130 mph for a thrilling ride. The 2018 Land Rover Discovery prides itself on its intelligent interior. In addition to high-tech features, the seating itself is referred to as “Intelligent Seating” for an even more comfortable experience. Entertainment features are decorated throughout the cabin, all the way from the windshield to the third row. When you’re behind the wheel of any vehicle, safety is the most important feature. The 2018 Land Rover Discovery is equipped with unique safety features to improve your peace of mind behind the wheel. A Command Driving Position elevates the driver’s seat, giving you a more comprehensive view of the road and your surroundings. Driver-assist technologies are built into the Discovery as well, with Electronic Traction Control and Electronic Brake-force Distribution. For added safety, the Discovery comes with Emergency Brake Assist to apply brake pressure if you don’t respond in time. 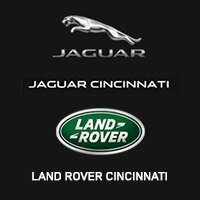 Call 513-791-1000 To Learn More about the 2018 Land Rover Discovery.